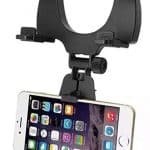 Rumfo Car Mount, Universal Car Rearview Mirror Mount Truck Auto Bracket Holder Cradle for for iPhone 7/6/6s Plus, Samsung Universal Rearview Mirror Car Mount for Most Mobile Phones,Cellphones,Smartphones; Through solid, high-quality workmanship way, foam-filled contact surfaces to prevent your phone off, more stable and secure. The clamp is firmly screwed to the car rear view mirror, its adjustable design fits different sizes of mirrors. Extra-firm goose neck absorbs vibration, providing a stable viewing environment. Easy to install, no tools required. Attach the bracket to the footrest. Exquisite workmanship, quality and durability, a variety of options, easy to use. Apple iPhone Wi-Fi Calling On December 12, 2016, Telus released a carrier update to compatible Apple iPhone devices enabling Apple’s new Wi-Fi Calling feature. This feature allows customers to send or receive calls or text messages (SMS and MMS) via Wi-Fi when their compatible device has little or no cellular coverage. 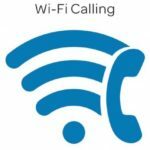 You can use Wi-Fi calling the same as you do on the cellular network, even if the person on the other end is not using Wi-Fi Calling. Though there is no additional cost to enable Wi-Fi Calling on devices, the calls and messages sent using this feature are billed the same as if they were made over Telus’ cellular network (minutes used to make local and nationwide calls are deducted from the customer’s monthly voice allowance and any overage will be rated according to the rate plan). Standard long distance charges apply when using Wi-Fi Calling. Wi-Fi Calling will only work within Canada at this time. What you will need An Apple iPhone 6 or newer device (includes iPhone SE) with iOS 10.2 or newer installed. An active TELUS Wireless Postpaid rate plan with LTE SIM card. A Wi-Fi network allowing Voice over IP (VOIP) calling. Call quality does depend on the network and a minimum download speed of 0.5Mbps is recommended. How to Activate the Feature Launch the Settings app. Select Phone. Select Wi-Fi calling then turn on You will need to read and accept the Wi-Fi Calling Terms and Conditions Enter your Emergency 911 Address. This is important as this is the address that 911 dispatchers will use if they cannot get a location from the caller in an emergency. More information For any questions or concerns stop by Cambridge Electronics in the Cornerstone Mall or call us at 780-998-9551 If you would like more info on phone and plan details click here, to go to the Telus website. Introducing the Google Pixel and Pixel XL The Pixel and Pixel XL are two new phones soon to be available. They have entirely been designed by Google, and feature a bunch of cool and useful Google-based features, built right in to the phone itself. 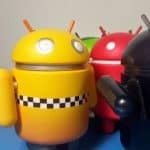 [hr] New Features One of the core features of the Pixel phones is what is being called the Google Assistant, an updated take on the Ok Google feature included with some of the newer Android phones. You can access the Assistant by saying ‘Ok Google’ out loud, or by holding down on the home button. According to Google, the more you use it, the more useful it gets. Google has also stated that anyone buying a Pixel will also receive unlimited storage for all of their photos and videos, all stored at full resolution online in Google Photos. This will greatly help reduce the amount of storage space normally taken up by your photos, allowing you to save more of what really matters to you to your device, like apps and music. The phone also features Rapid Charge technology via the the reversible USB Type-C charger, giving you up to 7 hours of battery life in just 15 minutes. And when you aren’t using your phone, Doze automatically puts it into a sleep state to extend your battery life. 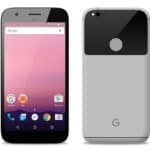 [hr] Specs Here’s a quick rundown of some of the more important specifications of the Pixel phones, including screen size, battery capacity and weight: Pixel Operating System: Android 7.1 Nougat Screen: 5.0” FHD AMOLED display (1920×1080) Camera: Rear: 12.3MP camera Front: 8MP Processor: Qualcomm® Snapdragon™ 821 2.15 Ghz + 1.6 Ghz, 64 Bit Quad-Core processor Battery: 2770 mAh Internal Memory: 32GB Weight / Dimensions: 143g / 143.84mm x 69.54mm x 7.31mm Pixel XL Operating System: Android 7.1 Nougat Screen: 5.5” QHD AMOLED display (2560×1440) Camera: Rear: 12.3MP camera Front: 8MP Processor: Qualcomm® Snapdragon™ 821 2.15 Ghz + 1.6 Ghz, 64 Bit Quad-Core processor Battery: 3450 mAh Internal Memory: 32GB Weight / Dimensions: 168g/ 154.72 x 75.74 x 7.31mm [hr] More Info If you’d like a more detailed review of the new Pixel phones, check out MobileSyrup’s detailed article, detailing specs and hands on impressions. For info on the available pricing of the phones through Telus, here’s a link for that as well. The phones are set to be released by Google on October 20th, with availability in-store soon to follow. Today Apple unveiled the new iPhone 7 and 7 Plus, as well as their new Apple Watch and wireless earbuds. If you missed the livestream of the presentation, here’s a quick wrap-up video posted by Apple showcasing all the new products in 107 seconds. The phones themselves are confirmed to have upgraded storage options in relation to the previous iPhones; starting at 32GB of internal storage, and then jumping up to the 128GB and 256GB options. The phones also come in two ‘new’ darker colours; a sort of anodized Black and a new glossy option that Apple is calling Jet Black. The devices are also all IP67 rated, which is a welcome addition, making them the first ever iPhones to be water resistant. If you would like to watch the full keynote in it’s entirety, here’s a link to their past broadcast: http://www.apple.com/apple-events/september-2016/ The phones are slated to be available September 16th. If you have any questions, you can always contact us by calling (780) 998-9551, or come into our store. We will update when more news becomes available. 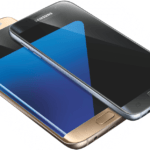 Samsung Galaxy S7 is nearly here! The Galaxy S7 is approaching fast with a March 11 2016 release date. Starting at 400$ on a 2yr Telus Your Choice plan or 900$ no term. Samsung Galaxy S7 Hands-On Review Samsung Galaxy S7 is nearly here! 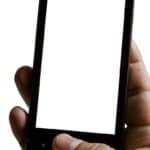 Why Buy Your Sherwood Park Telus Phone from an Authorized Store? With numerous retail stores online, shopping has never been as simple as it is today. If you want to get a new phone or tablet, you can go online and have it in a matter of seconds. There is no contesting the benefits that come with online shopping. For one, you can do it from wherever you are in Sherwood Park. However, there are some cautionary measures that you have to keep in mind when shopping online for electronics. Among the plethora of retail stores you find, there is a fraction that is made up of untrustworthy dealers. It is essential that you buy your tablets, phones, or TVs from authorised dealers. Read moreWhy Buy Your Sherwood Park Telus Phone from an Authorized Store? The Internet makes the world go round and having it in your home makes everything easy. A lot of people get home internet, so they don’t have to struggle when they need to go online. 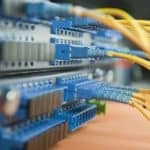 If you are considering getting internet for your Edmonton home, it is important you understand how to go about it. There are various local options you can find when you want internet for your home. TELUS Internet is one. If you are doing this for the first time, it helps to have some information in hand. Talk to a Edmonton Telus internet representative if you wish to get answers to your concerns. 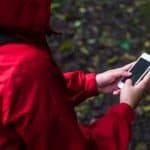 Buying an iPhone on Contract: How Does It Benefit You, the Consumer? Smartphones have made many changes on the communication front. The smartphone technology in use nowadays offers consumers myriad applications for various functions. The iPhone from Apple is one of the most popular phones on the market, with good reason. You can get an iPhone to upgrade your current cell phone. When buying a wireless phone, one of the choices you have to make is whether to get a contract or not. That said, buying a cell phone on a contract has its benefits. In Fort Saskatchewan, you can get a TELUS iPhone with a 2-year contract. 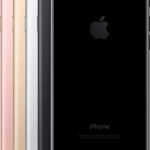 Read moreBuying an iPhone on Contract: How Does It Benefit You, the Consumer?